Maria Mason is qualified in a wide range of holistic therapies, together with advanced skin care beauty therapies and spa rituals. She is the salon owner of Beauty Time Bristol and has an unwavering passion, enthusiasm and dedication to the holistic beauty industry, with an expertise that spans no less than 25 years. Beauty Time was the first and only salon to win the coveted title Professional Beauty UK Salon of the Year for three consecutive years, taking it into the history books of the beauty industry. The team has more than 40 awards and accolades to date, including two FHT Excellence Awards – one for customer care and one for leadership. Maria is a national judge of 10 years to the professional beauty industry. She is regularly called upon to work on TV and radio, and writes for tabloid and trade magazines as a beauty expert. In addition, she worked as a trailblazer for the Government Apprenticeships and appeared in an information video about the Professional Standards Authority’s Accredited Register programme, on behalf of the FHT and its members. 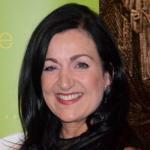 Maria is also a regular conference speaker, championing both the beauty industry and the FHT. Charity work is very dear to Maria’s heart and each year she raises money for a charity chosen by one of her clients. To date, Maria and her staff have raised more than £10,000 through activities such as wing walking and sky diving. Through her business, Maria sponsors the education of three children in Gambia. She also forms part of a tutor group for a high court judge working in underprivileged schools, to motivate young people to work towards educational goals. Maria knows what it takes to run a successful salon and her vision is, and has always been, to inspire the industry to work to the highest professional standards. Sharpen your skills with Professional Beauty’s Business Seminars! The Business Seminars are designed to meet the needs of the health and beauty professional. If you are running a business this is the event for you. If you are looking for expert advice on how to start a business, implement a marketing strategy or how to boost your sales, look no further. The Federation of Holistic Therapist talks to Maria Mason, MFHT, MIFHB, MHBEF, about what it takes to run an award-winning salon. Maria is invited by Jenni Middleton Editor of Professional Beauty to write her own column for the magazine. By special request Head Therapist Suzy Harris, requested to be photographed with “Take That“ complete with Robbie Williams!! Beauty Time has become part of the annual festival of Dragon Boat Racing, The girls , their families and friends raise hundreds of pounds for charity each year, dressed as captain and crew of their boat, they take on 35 other companies to battle it out to be over all Dragon Boat winner of the day… alas…… todate they have only managed a prize for the prettiest crew !!! Originating from China over 2000 years ago, Dragon boats are 12 meters long decorated with a traditional dragons head, tail and drum. Each boat can have between 10 and 16 paddlers providing the power, a drummer to beat a steady rhythm, and a helm to steer. The dragons are raced against each other in a spectacular energetic display. Maria was teamed with Tom Lackey, the oldest wing walker to date! Tom 90 years in age told Maria “My Dear if you do this, you will never be afraid of anything else in your life “ Wearing Toms gloves and headgear Maria took to the air, Performing breathtaking sequences of acrobatic maneuvers whilst strapped to the top wings of a beautiful Boeing Stearman biplane. Her Pilot took the aircraft through well-rehearsed energetic routine of dazzling aerobatics and close formation fly-pasts as she waved at the crowd! During all of this, the wing walkers experience speeds of up to 150 mph and ‘G’ forces of up to 4G! Would she do it again? ………. Definitely! !